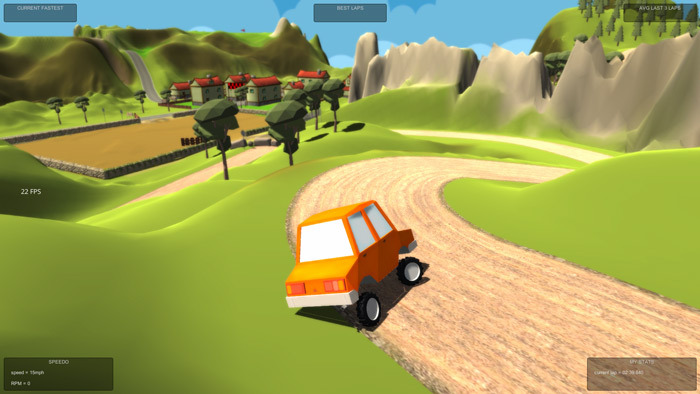 "A bright, happy, silly and fun little driving game." 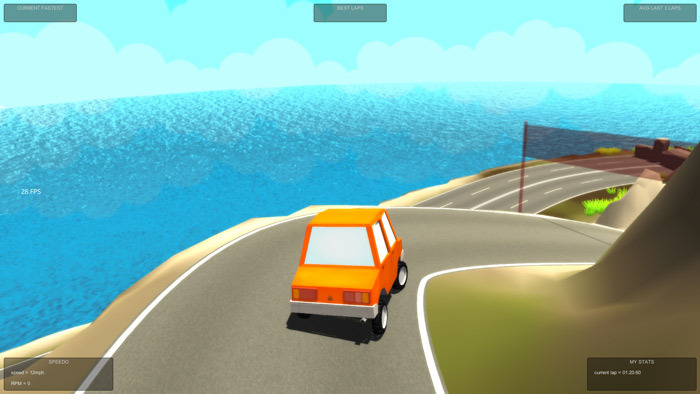 ForeveRacers is a cute looking racing game with physics that make your car quite difficult to drive but also make the game a lot of fun and although the scenery is kind of cartoon like it actually looks great there has been some really nice detail put in to the water when you drive past the sea. 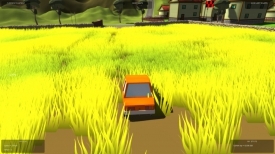 The game is available to play in both online and offline mode, offline mode is just a simple time trial however there are open servers for online which can bring others players in to your game at any time who can try to beat your lap times or just generally wreak havoc in the game by putting you off your stride. Sadly while I was trying out the game there was no one else online but perhaps as the game becomes a bit more popular you will find more people on the servers and the races will be more of a multiplayer experience. 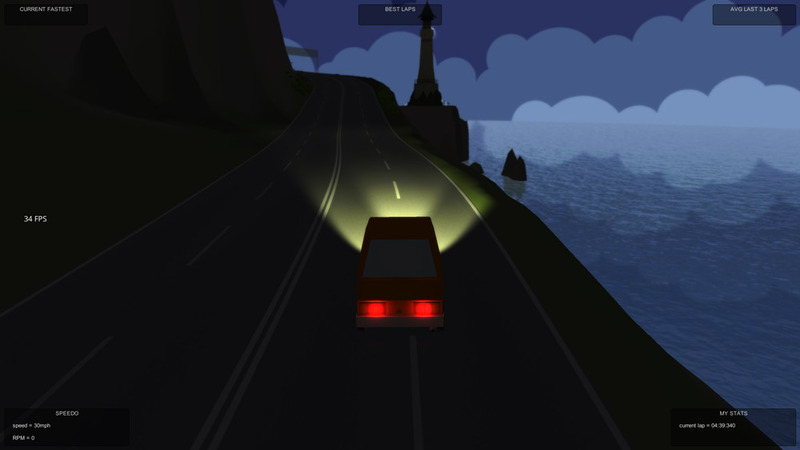 ForeveRacers really does look cool in its simplistic style but it is a lot of fun and as free driving games go if you’re looking for realism this won’t be for you however if you are looking for something colorful and fun with kind of silly physics then this is one game definitely worth downloading. You can download ForeveRacers here for free.